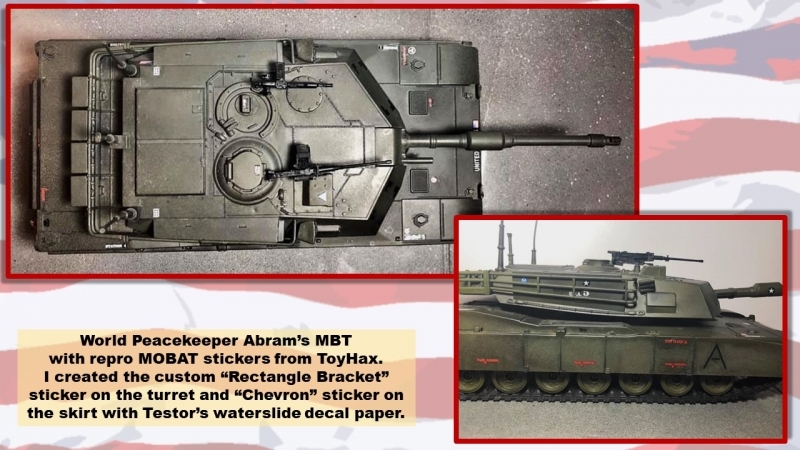 World Peacekeeper Abrams MBT with custom machine guns and Toyhax repro stickers. I wanted a more modern MOBAT (Main Battle Tank - "mobat" is actually the phonetic pronunciation of MBT = "main battle tank"), so I decided to go with the M1 Abrams tank from World Peacekeepers. I gave the toy a slight wash and overspray to dirty it up a bit. Next, I removed the undersized machine guns and replaced them with some better-looking weapons. 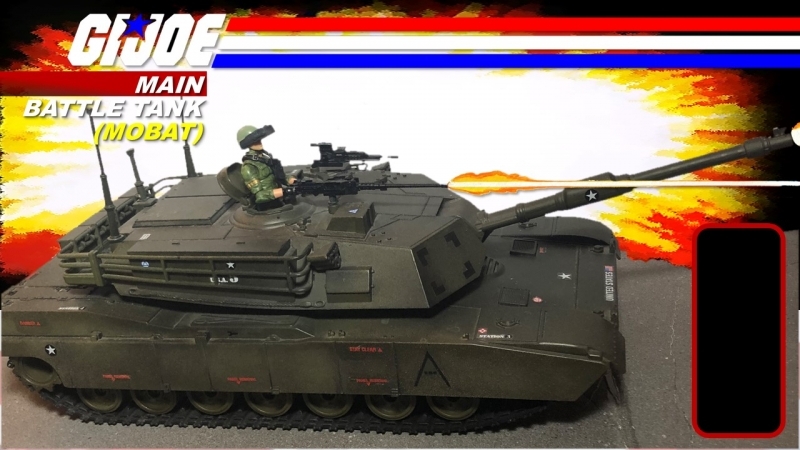 The Browning .50 cal is a resin cast from Dameros Dojo which I glued to the toy's machine gun post/mount. 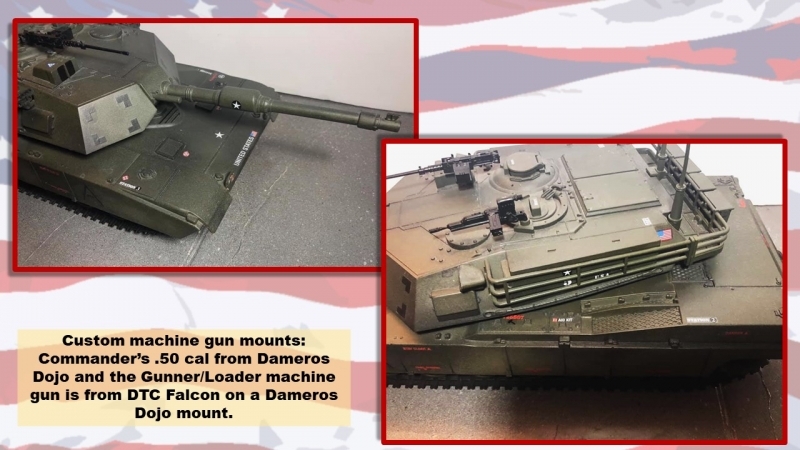 The gunner/loader's machine gun comes from DTC Falcon and is glued to a custom mount from Dameros Dojo. Finally, I applied repro MOBAT stickers from Toyhax. 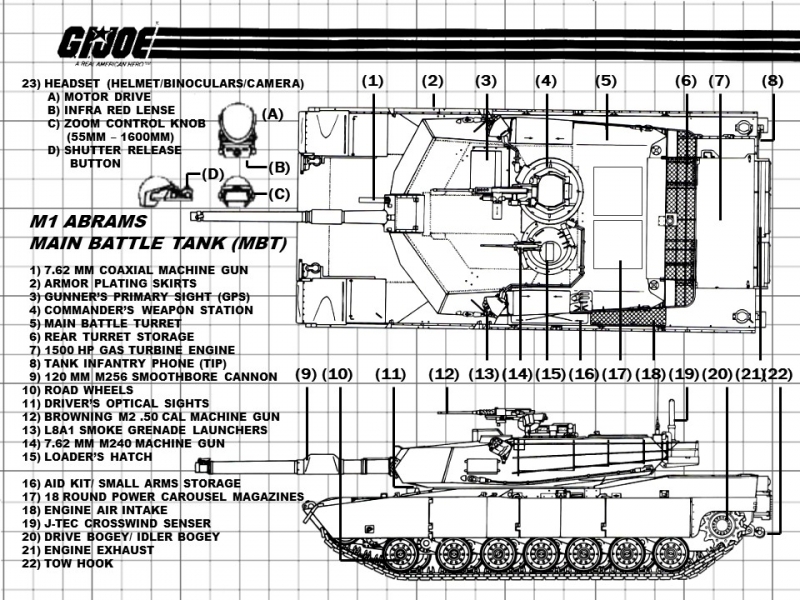 The blueprints are based upon the real-life Abrams MBT with some info borrowed from the MOBAT blueprints.